On Wednesday, Vice President-elect Mike Pence confirmed that the first order of business for the new Congress would be dealing with the Affordable Care Act or Obama Care, as promised by the Elected President Trump during his campaign. However, Democrats want to block any improvement on the health care system. Encouraged by the act’s architect President Obama during a speech on Capitol Hill, they will star rallies to defend Obamacare protecting people from Republicans who want to “make America sick again”. 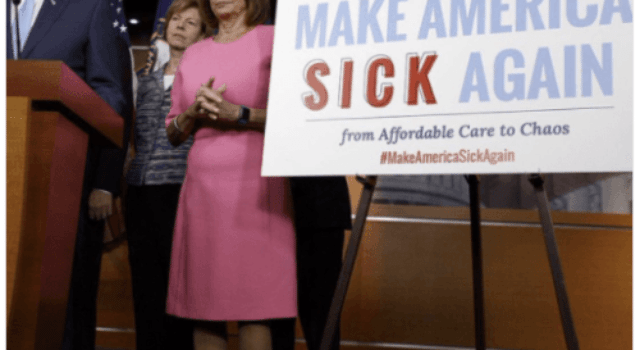 Democrats were eager to take Obama’s advice and, though they Obare a minority in the House and the Senate, they intend and could make replacing the current health care system difficult since their votes are still necessary. “They want to repeal it and then try to hang it on us. Not going to happen. It’s their responsibility, plain and simple,” Senate Minority Leader Chuck Schumer, D-N.Y., said. He also said Democrats aren’t going to bail out Republicans as they try to come up with a new plan. “We did already,” and it has covered 20 million Americans, he said. Although he does not support repealing Obamacare, Sen. Joe Manchin, D-West Virginia, thinks it is not wise to “stonewall Republicans on a replacement” as suggested by the president. “If I break it, we gotta fix it,” he said, indicating that Republicans could have a Democrat ally in any replacement effort. At least there is one government official who is willing to cooperate and listen to what other Congress members propose. Hopefully, other democrats follow his example ad forget about blind partisanship. It is important for all members of the Legislative branch to work together for what it is best for this country and is citizens such as a better health care law. Previous articleSharpton says civil disobedience is the only way to beat Trump!